Clean air for a healthy life! 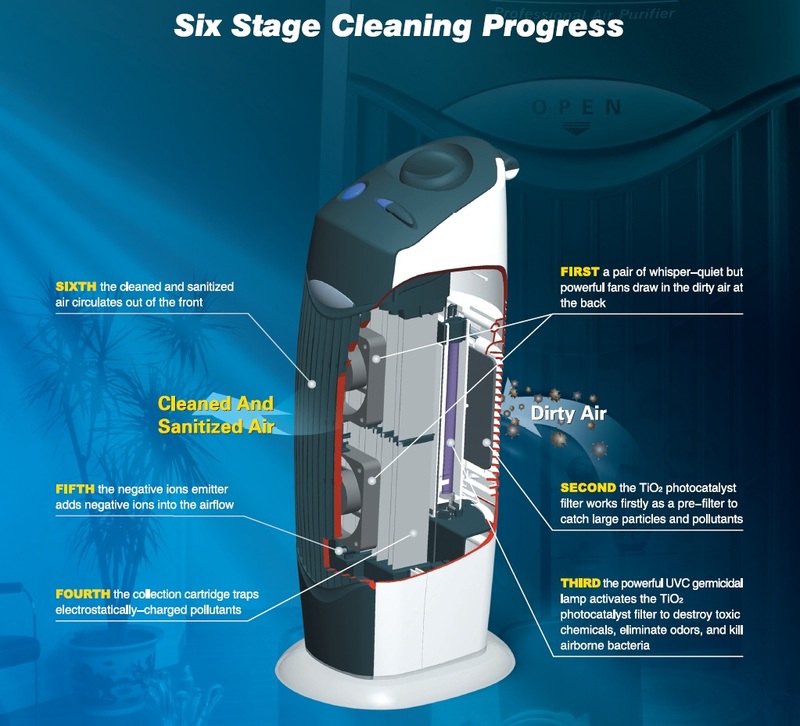 The air purifier from Clean Air Optima is a new generation of air purification, it is not only useful for people who suffer from asthma or allergies but it also cleans the indoor air. 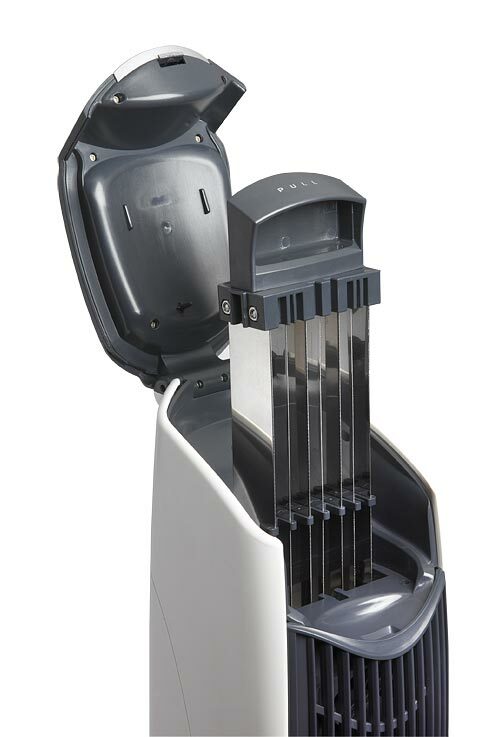 The modern and innovative UV ionization air purifier CA-366 offers effective air purification and filters particle and suspended sediments from the air. Easy cleaning! No filter new filter purchase necessary! 3. The photokatalytic filter operates in combination with the UV lamp which kills bacteria and viruses. It can also eliminate bad odor. 5. Negative ions are produces through ionization, it cleans the air and enriches it with active oxygen. 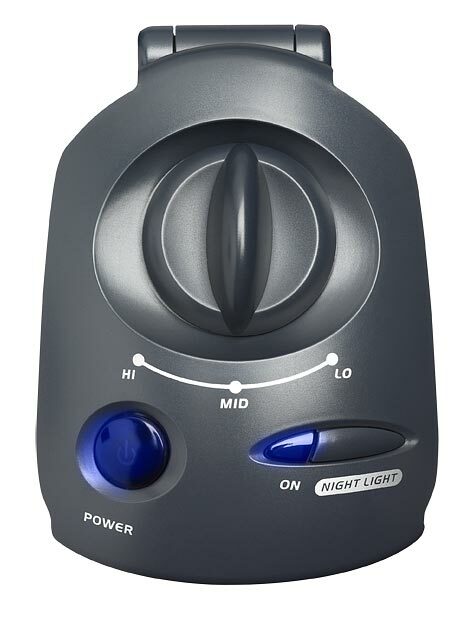 Negative ions improves the energy reserves, the metabolism and the circulation of blood and the immune system and it decreases allergy problems, asthma, headaches, stress and sleeping disorders. 6. Clean and healthy air flows through the room. 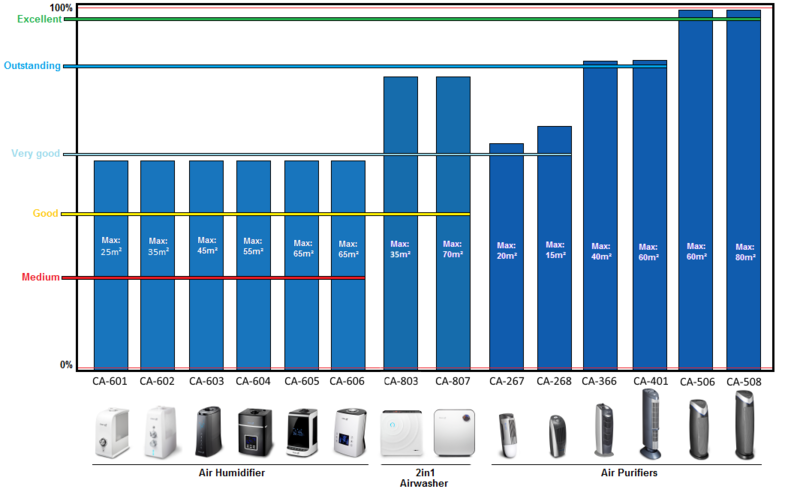 The CA-366 filters allergens, dust, pollen, bacteria, viruses, mold spors, animal hair. It reduces cigarette and tobacco smell. The Clean Sir Optima UV Ionization air purifier is very versatile, it can be used at home, workplace, office, private practices, nursery homes, kindergarten, schools, gyms, hotels or conference rooms. 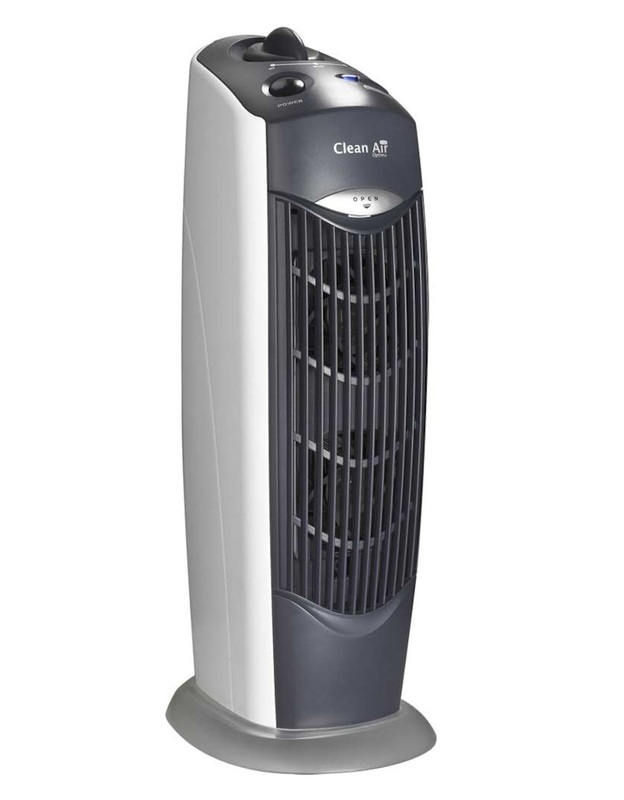 The CA-366 is the ideal air purifier for rooms from 107ft² up to 430ft² (10m² up to 40m²/100m³). 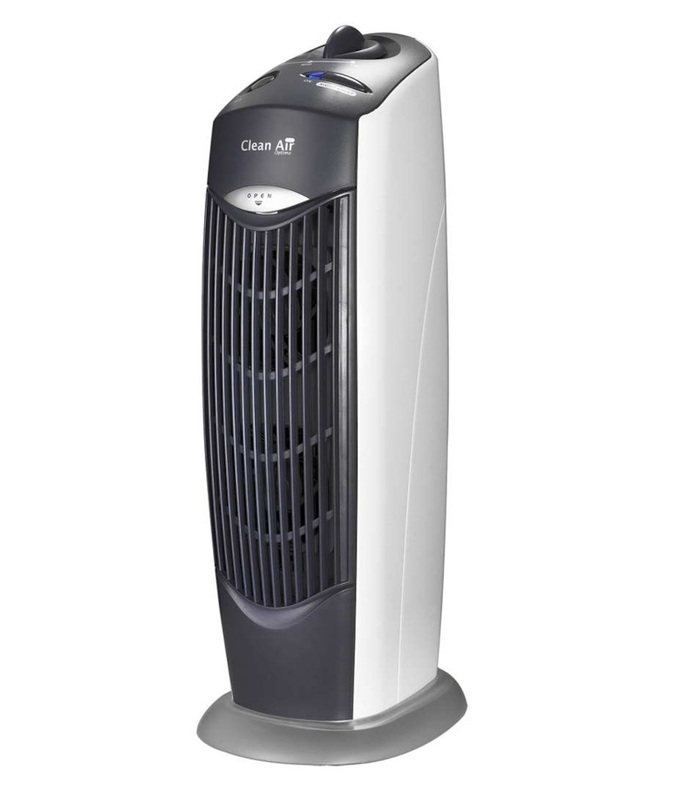 Three fan speeds give a choice between completely silent operation and a very strong air purification. on the lowest level the air will be refreshed very silently, it is thus very useful for the bed room or nursery. People spend almost 90 % of their time indoors. The amount of toxic substance in the air is up to 100 times higher indoors than outdoors. This is one of the pressing reasons to care about clean indoor air. The Clean Air Optima UV Ionization air purifier CA-366 with its effective filter ensures clean indoor air, it reduces allergic reactions and helps allergy patients to participate in the normal life. Tobacco smoke can be neutralized and through the negative ions the air is cleaned and refreshed. The risk of infections is reduces as germs, allergens, pollen, pet dander and hairs are eliminated. The elegant design in darkgrey-white is suitable in every interior: in livings rooms, bedrooms, private practices, nurseries, kindergarten, schools, gyms, nursing homes, hotel and conference rooms. The VA electrostatic filter is very easy to be cleaned. Switch of the appliance and pull the socket. Wait for about a minute and then press the button “Pull” and push the VA electrostatic filer out. You can wipe it with a wet cloth. The filter needs to be dried thoroughly. If the air purifier is used continuously (24 h a day) we suggest to clean the filter twice a week. Switch of the appliance and unplug the socket, Remove the lid at the backside of the air purifier. Take off the filter from the lid. 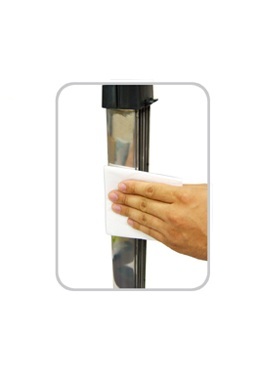 The filter can be cleaned through vacuum cleaning or rinsed with cold water. The filter need to be dried thoroughly. 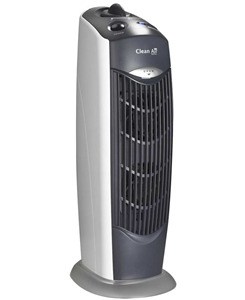 If the air purifier is used continuously (24 h a day) we suggest to clean the filter once in 12 weeks. The UV lamp of the CA-268 has a life-time of 20.000 operating hours. Good product! The air quality changed in the first hour and i had a really good sleep. I have lung sarcoidosis and had problems breathing while sleeping. Sehr empfehlenswert! Im Schlafzimmer für mich jedoch zu laut.